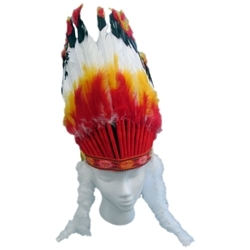 "Big Chief" Feather Headdress. One size. Headdress is 17-inches tall. Fits head size up to 26-inches.